2019 Casino/Boat Show Bus Trip!!! Stay up to date on what's happening with the Hartford Power Squadron. Click here to put yourself on the mailing list for our award winning newsletter the Bilge Pump. Click here to see our Current Issue. Hartford Power Squadron is dedicated to the advancement of Boating education, safety and the camaraderie of recreational boating. Our members meet 1 to 2 times a month (except July and August) for general and or executive meetings in the Hartford area. We plan and discuss upcoming events, educational classes and enjoy various progams that are held. HPS is a fun organization of members with the same interests and concerns about our waterways. If you are looking for THE BEST boating certification classes that qualify you for your Connecticut Safe Boating Certificate you have come to the right place. 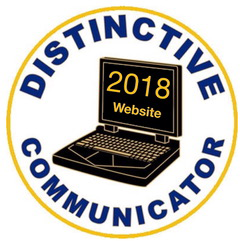 If you like boating, water sports, cruises, picnics, new friends, social gatherings, or learning about nautical information, once again, this is the right place. ABC presented by the Hartford Power Squadron, meets all of the requirements of the Connecticut DEEP for its Certificate of Personal Watercraft Operations. 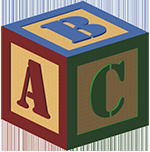 Become a more competent boater, learn from the best, take ABC today. 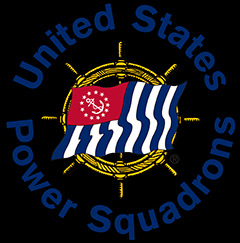 The United States Power Squadrons® is the world's largest recreational boating organization with more than 35,000 members. For more than 100 years, we have worked to make the water a safer place through boating education, civic service and fellowship. With the United States Power Squadrons®, you can improve your boating skills and knowledge online, in the classroom with certified instructors, or outdoors with hands-on training. By joining America's premier boating organization, you can have fun with other boaters on the water and on land! Do you and your spouse have the confidence that your boat complies with Federal and State regulations intended for safe boating? 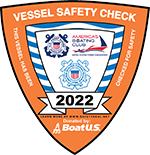 The United States Power Squadron has affiliated with the U.S. Coast Guard and U.S. Coast Guard Auxiliary to provide FREE Vessel Safety Checks (VSCs) to America's boaters. 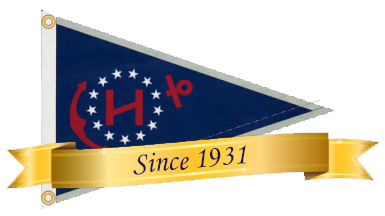 Organized in 1914, USPS is a non profit, educational organization dedicated to making boating safer and more enjoyable by teaching classes in seamanship, navigation and related subjects. Our members are boating families who contribute to their communities by promoting safe boating through education. We enjoy participating with our fellow members on the water and in the classroom. USPS has some 45,000 members organized into 450 squadrons across the country and in some US territories. USPS is America's largest non-profit boating organization and has been honored by three US presidents for its civic contributions. Each squadron's activities involve the three primary objectives of USPS: community service, continuing education, and enjoying the friendship and camaraderie of our fellow members. In a cooperative program with the US Coast Guard Auxiliary, squadron members conduct courtesy Vessel Safety Checks of boats at the request of their owners. To learn more about this program, and how to get your boat checked, click here. Our members also help the National Ocean Service keep our nautical charts accurate by reporting chart corrections, and our local squadrons participate in many other community improvement projects. Every squadron offers many carefully planned courses in subjects like Seamanship, Piloting, Plotting and Position Finding, Celestial Navigation, Cruise Planning, Engine Maintenance, Marine Electronics, Sailing, and much more. These courses are taught by experienced member instructors, and members who complete them are recognized. Participating both on-the-water and off with fellow members who are skilled in boating is a rewarding and enjoyable experience. On-the-water activities include cruises, rendezvous, sail races, navigation contests and even fishing derbies. 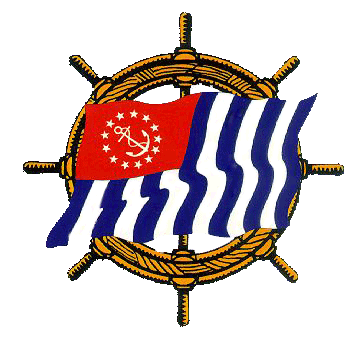 Activities ashore include meetings with marine programs, parties, dinner-dances, picnics and field trips. Mike's class was extremely educational and his knowledge and enthusiasm for boating made the course fun and interesting. Looking back at my decision to take the USPS course instead of the shorter state run course I cannot be happier about my selection of USPS. We can thank Mike for that. I found Roy to be extremely knowledgeable on the subject matter and very capable as an instructor. However, what impressed me most about Roy was the amount of patience he exhibited when dealing with students who were struggling with some of the concepts and techniques. ... Roy brings to his teaching a congenial manner that makes his classes enjoyable. He went out of his way to see that we met for sight-taking sessions together and learned how to take sights correctly, and he put great emphasis on accuracy. Roy's teaching greatly contributed to the success of his students in the final exam-all of us received scores in the 90s. Mike's knowledge and enthusiasm for boating and the Squadron make him a very special teacher, and a great asset to the Squadron. I owe him a debt of gratitude for the lessons he taught me, and for showing me that Squadron membership would be a most worthwhile and pleasurable thing to do. Roy went out of his way between classes searching for supplemental material to answer our questions and ensure that we truly understood the material we were covering. Roy's knowledge and enthusiasm for boating and the Squadron make him a great teacher and a terrific asset to the Squadron. Not only am I grateful for the lessons he taught me, but for showing me that Squadron membership would be a most worthwhile and pleasurable thing to do. May 4, 2019 - 2019 HPS 5th Annual Swap Meet and Cookout. The HPS Swap Meet and Cookout is back! The event will once again be held at the Portland Riverside Marina on May 04 with a rain date of May 05. In addition to renting spaces to those who wish to sell their items, we will be accepting donations of lightly used boating items someone else might find useful. Proceeds from the sale of these items will be added to the squadron treasury. Please contact Bill Waseleski, (860) 212-2636 to arrange your donation. As in the past, food will be available throughout the day. There will be a simple cookout menu consisting of hot dogs, hamburgers, chili, kielbasa, chips, and other cookout items. And don’t forget the 50/50 raffle! Click HERE to find the latest event details and make reservations for a space. April 7, 2019 - Save the Date. HPS Change of Watch Dinner. (860)346-0680 by April 2nd for reservations. Price is $25 per person for a six course dinner. Please see the March-April 2019 Bilge Pump for full details. 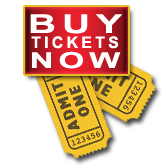 January 19, 2019 - 2019 HPS Bus Trip to the Hartford Boat Show and Mohegan Sun Casino. April 8, 2018 - Save the Date. (860)346-0680 by April 1st for reservations. Price is $25 per person for a six course dinner. Please see the March-April 2018 Bilge Pump for full details.